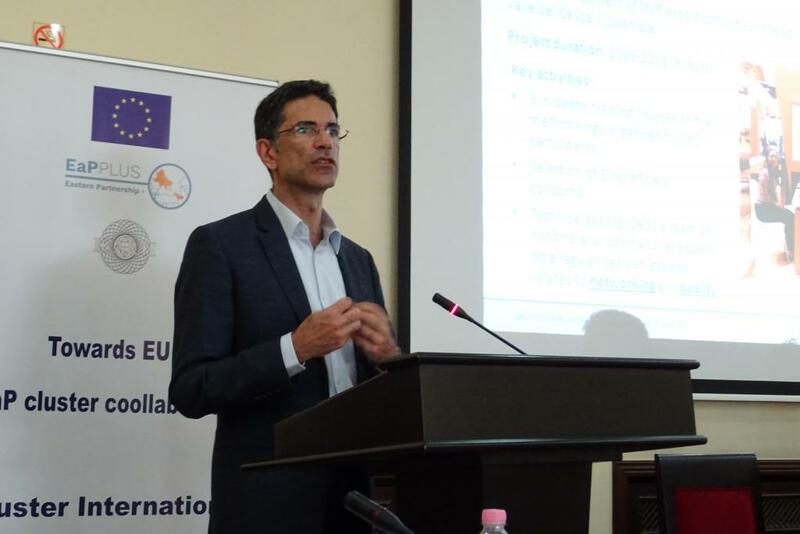 On July 11-12, 2018 Tbilisi hosted the workshop "Towards cluster collaboration between EU - Eastern Partnership countries" organised within the Eastern Partnership Countries Plus project (EaP PLUS). 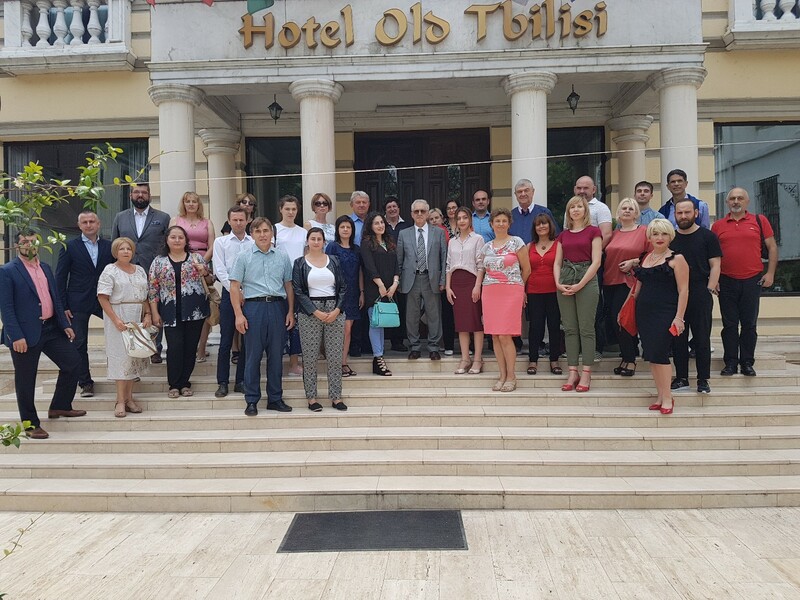 The event was an excellent opportunity for European cluster managers and experts to meet and exchange with colleagues from Georgia, Ukraine, Belarus, Armenia and Moldova. The host of the event, Dr. Givi Kochoradze, EC ICT NCP and member of the consortium addressed the welcome to the more than 60 participants and opened the meeting with an introduction to the Georgian cluster landscape and the initiation of activities of the Georgian National Cluster Platform. 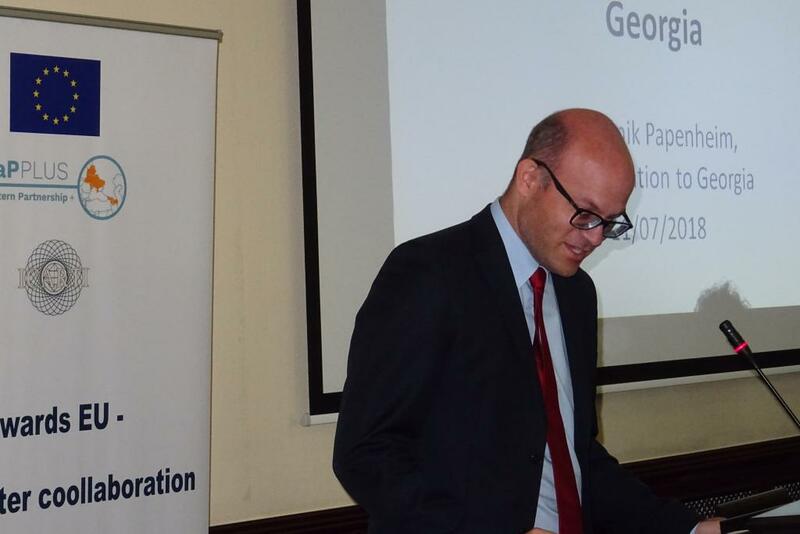 Dominik Papenheim, Programme Officer at the Delegation of the EU to Georgia, presented the EU initiatives to support cluster development in Georgia and the new upcoming actions in this direction. Fabio Russo, UNIDO senior industrial development officer of trade, investment and innovation, spoke about promoting SME clustering and networking and brought in UNIDO's experience in supporting clusters, by introducing cluster case studies developed with UNIDO Expertise in various countries. Last but not least, the floor was Philipp Steinheim's from GIZ who spoke about cluster development in Georgia - practical experiences and lessons learned within the EU-funded project "SME Development and DCFTA in Georgia" when developing clusters in three sectors (furniture, film and ICT) - see the report in attachment below. 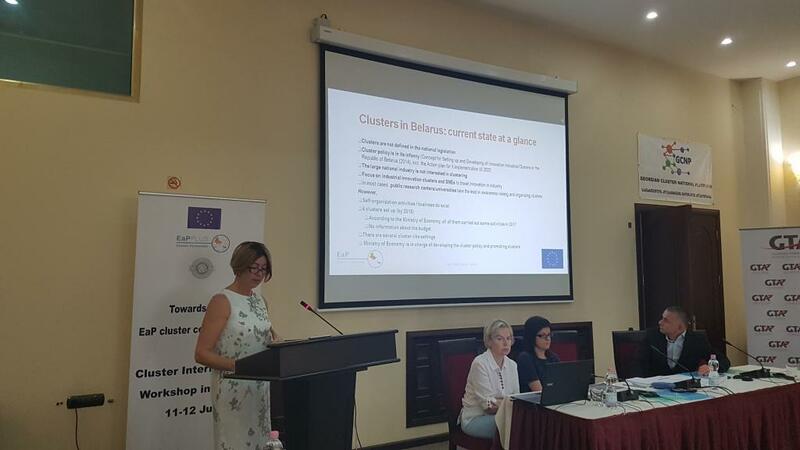 Lucia Seel, ECCP Content & Communication Manager introduced the platform to the audience highlighting the services it offers to all clusters and how they could benefit from them in order to get and increase their international visibility and connectivity. 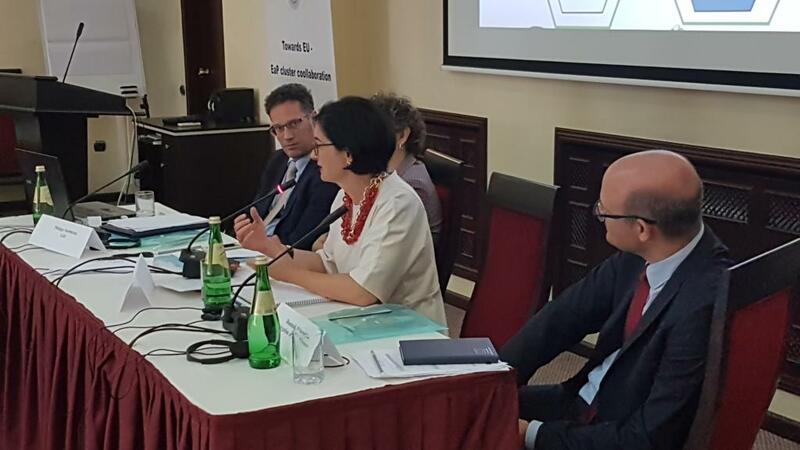 The objectives of the EaP PLUS project and its Cluster Grant Scheme were presented by Svetlana Klessova, director of inno TSD France. In the second part of the event, participants could learn in detail not only about the cluster landscapes in Ukraine, Belarus, Armenia and Moldova, but could also ask questions and share their knowledge related to situations in their own countries. 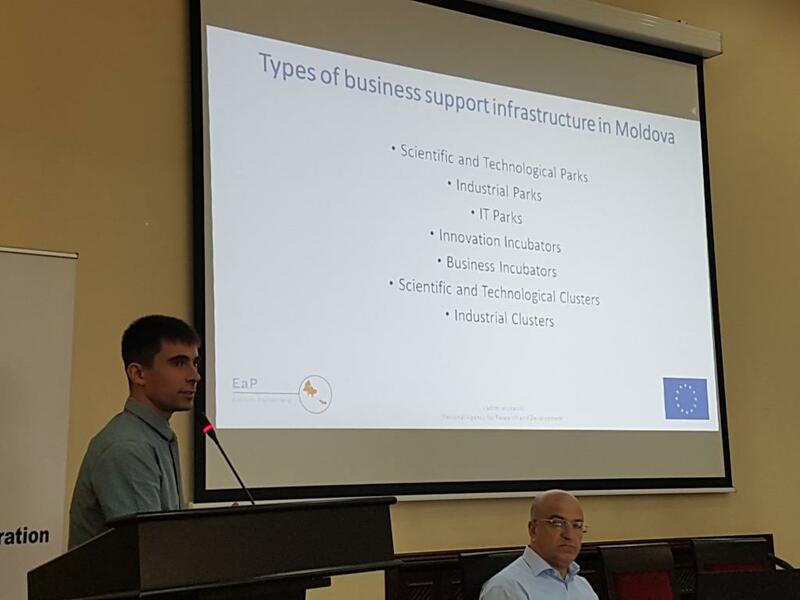 A very interesting part of the workshop was dedicated to showcasing the results of the EaP PLUS Cluster grant Scheme that enabled the creation of partnership between cluster organisations from the EU and Eastern Partnership countries, such as Ukraine - Hungary, Ukraine - Poland, Belarus - Poland, Armenia - Romania and Moldova - Romania. The stories of these partnerships were captured in a series of videos available on the ECCP (watch the first interview here). Following an open discussion about the next steps and the policy recommendations that could be made to advance the cluster development in the Eastern Partnership countries, the event was closed with the bilateral signature of memoranda of understandings between the Georgian National Cluster Platform and the guest cluster organisations. See the presentations in the attachments below.